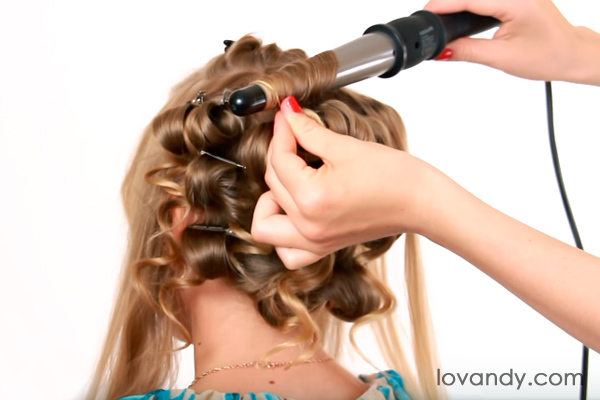 If you have ever wondered how to do curly hair at home, you might think this is easy. However, such hairstyle does take a lot of time and patience. Today we will learn more about it. Before you begin this tutorial, make sure you have all this stuff. As you may see, you do not need much: just some basic equipment, which everyone has at their home. This is what we want. Such hairstyle may seem hard to achieve (especially if you have never tried it). However, do not worry: the technique is pretty easy to understand. 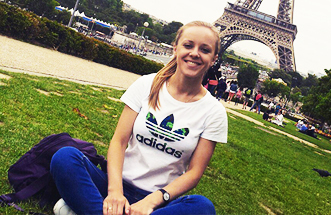 By the way, the result is worth the time. 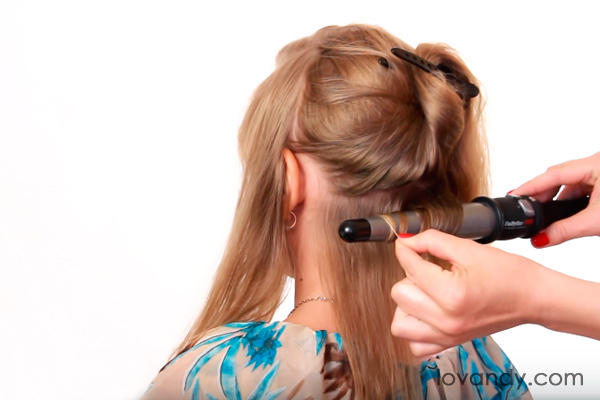 Before curling, apply some thermal protection spray on the hair. After that, use your comb to separate the hair. Move temporal strands to sides, leave one strand on the back, then use a barrette to fixate the remaining hair on the crown. Now separate the back strand into two parts. It is better to use a taper iron without a clamp, if you want some nice conical curls. However, a common one also fits well. The curling technique is simple, but requires a bit of accuracy. Curl a strand from root to tip, then stretch the tip. IMPORTANT: to prevent hair overheating, you should always check a curled strand tactilely: palp it with your fingers. 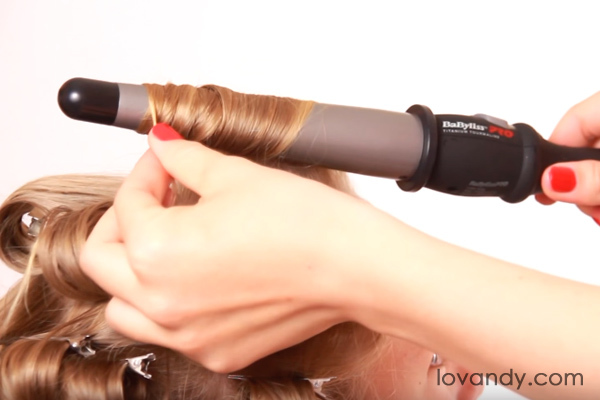 As soon as the strand is heated evenly, accurately remove the hair from the curling iron. IMPORTANT: do not release it immediately. In order to make the strand remain curled, fixate it with a small hairgrip (you may also use some cleat, pin or any other barrette) while it is warm and untwisted, until it cools down. If you have used a thermal protection, some strands may be steaming when you curl it. Do not worry, it is not a smoke of burning hair, it is just some moisture evaporating, which is normal. Now separate the other horizontal strand and repeat the steps, mentioned above. Do it with all the back strands. When all the back strands are curled, use your iron to make spiral curls for the rest hair on the nape. You may separate the temporal strands in 2-3 parts. Then curl it inside (down) to make a children hairstyle; but not from face, as it is done in adults hairstyles. This picture illustrates what all the strands should look like. It is a good idea not to remove hairgrips until you are done, so that it would be easier to operate with each strand. Now, start releasing the strands. You should begin with lower ones, moving towards the crown. Separate it with your fingers if you need to, but do not use a comb. 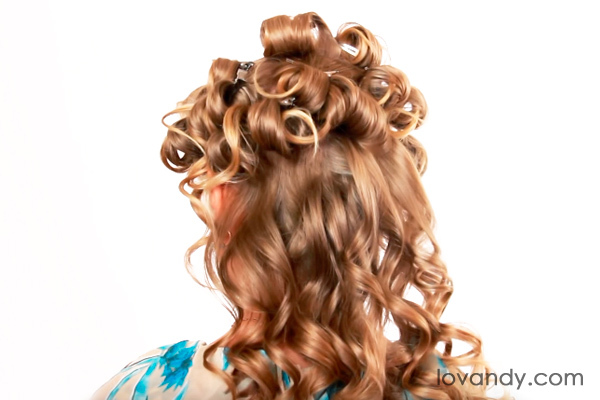 Do not separate front strands in too small curls, so that it will not cover the face. When you have finished all the detailing, cover the hairstyle with a spray. 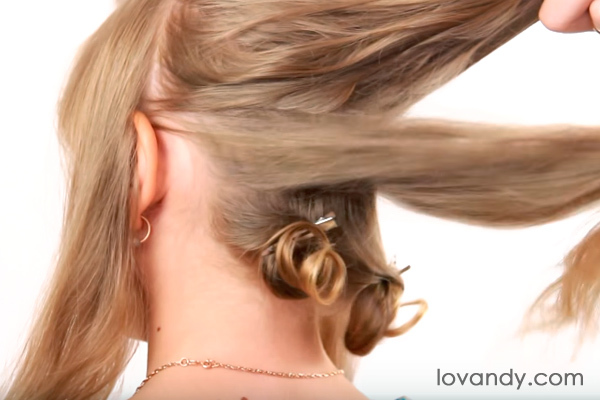 Use some decorative hairgrip on one side to finalize the whole look. Now you are done! 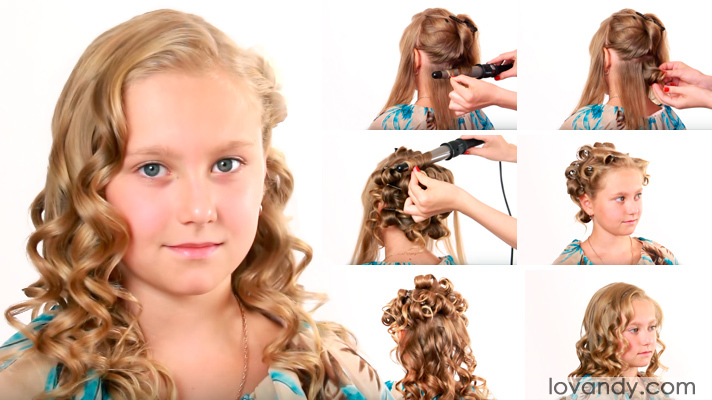 This children’s hairstyle is a nice idea for a holiday or a party. As you see, this hairstyle looks really interesting and different, while you do not need any special stuff to make it. The hair remain loose, meaning your child will not have to worry about a fixation. In addition, some good hair spray helps to make your curls last all day. Thereby, this hairstyle is one of the best ideas for children so far.